Discussion in 'General Discussion' started by BusterCrabb, Jan 15, 2019. Stairs would be a step up. Change my mind. It seems we need a whole new year for new blocks even then I have my doubts they will show up. I don't know why its so difficult to implement them. Nonetheless, I will not request anything new in the forum since it seems that no one but a few players interact with them. I'm sorry, bro. Yeah - Don't forget about Pike! I think we could remove armor to definitively settle that whole debate about making it more useful than the equivalent cost in chaff is. The block "grate slope" would make a decent staircase - both functionally and visually, if the crossbars were rotated 90 degrees. Likewise, the regular "grate" makes a good looking ladder. It would be nice if you could actually climb it like one. You can make some cool ladders using the new metal bars, but they have only the aesthetic effect tho. It's not that it would take that long to create new blocks. There are plenty of blocks that they were/are working on that did not get released in the latest update. But their focus is now on the Universe Update. While EA or Blizzard would have multiple teams working on a project, Schine has 4 or 5 people. If they are working on the Universe Update, they aren't focused on new blocks. 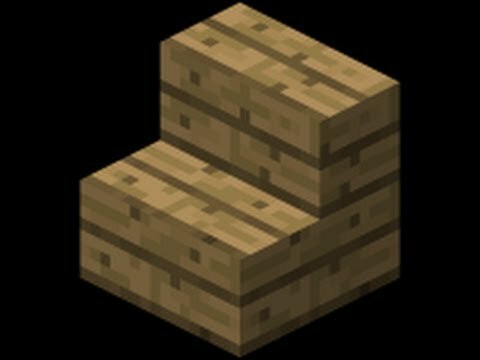 I think they are intending to make the block editor better, so it is possible for players to create their own stairs or other blocks. Some sort of quick notes (really, like 140 chars long) regularly posted on the dock, since this supposed to be the starmade home, could work wonders with the community. I ask no more than that; Since I'm supporting the development team by buying it on steam. Its the least we should have. One blog post every 3-6 months is stupid. Just my starmade customer point of view. PS: I'm not spreading hate towards Schine or anything, on the contrary, I really want this to succeed; that's why I, again and again, touch this topic. I get you. While I think that they should update the news and website more frequently, they do talk about things regularly on their Discord server. We can do better for Pike now, let him take the stairs! I... was not expecting a reply. Well done! 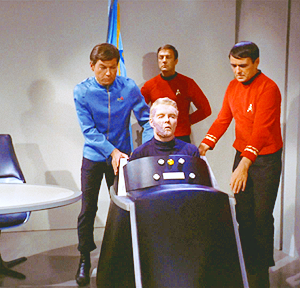 OK, now we need power suits in Star Trek. Now that I see a connection, it's just a natural progression.